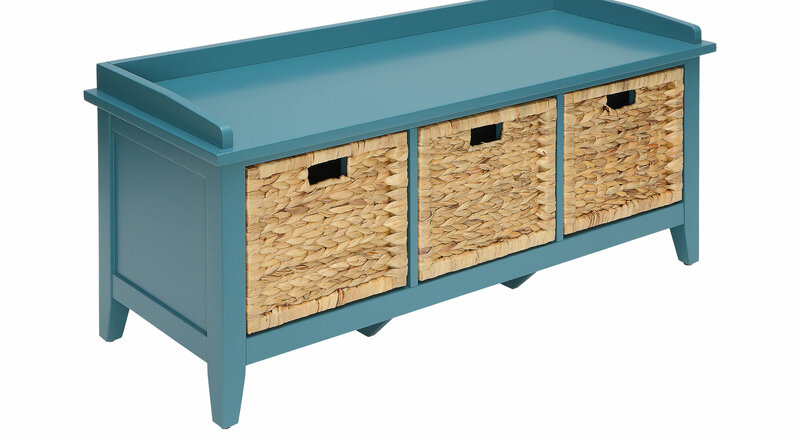 Keep your entryway fresh and organized with the lovely Flavius blue storage bench, featuring three spacious brown rattan baskets like drawers. The low-profile design and crisp finish make for charming window seating. This bench is perfectly suited to update the bathroom, dressing area, or living room. From small spaces to wide and roomy, ample interior storage keeps messes tucked away.